Once again, ChiIL Live Shows will be out for the press performance on Sunday, February 25th, so check back soon for my full review. We adore Black Ensemble Theater (BET) and their world class original musicals. They are a true Chicago treasure. Black Ensemble Theater opens its 2018 Season (Movers and Shakers) with Hail, Hail Chuck: A Tribute to Chuck Berry, written by L. Maceo Ferris a senior member of the Black Ensemble Theater's BPI (Black Playwrights Initiative) and directed by Black Ensemble Theater Associate Director Daryl D. Brooks. Hail, Hail Chuck: A Tribute to Chuck Berry will be performed at the Black Ensemble Theater Cultural Center, 4450 N. Clark Street in Chicago, February 17 – April 1, 2018. Hail, Hail Chuck pays tribute to a man that revolutionized the music industry in an era of overt racism enforced by Jim Crowe laws. With songs like “Maybellene,” “Roll Over Beethoven” and “Johnny B. Goode,” the Black Ensemble pays tribute to one of the greatest rock and roll artists of our lifetime. The cast of Hail, Hail Chuck: A Tribute to Chuck Berry includes Ivan Ellis (Young Chuck Berry), Lyle Miller (Older Chuck Berry), Rueben Echoles (Younger Johnny Johnson), Kelvin Davis (Older Johnny Johnson), Kylah Williams (Themetta), Cynthia Carter (Otha Mae), Jeffrey Wright (Leonard Chess), David Stobbe (Teddy Reig), John Wesley Hughes (Taylor Hackford) and Dwight Neal (Muddy Waters). The Ensemble includes Lemond Hayes, Brandon Lavelle, Trequon Tate and Christopher Taylor. 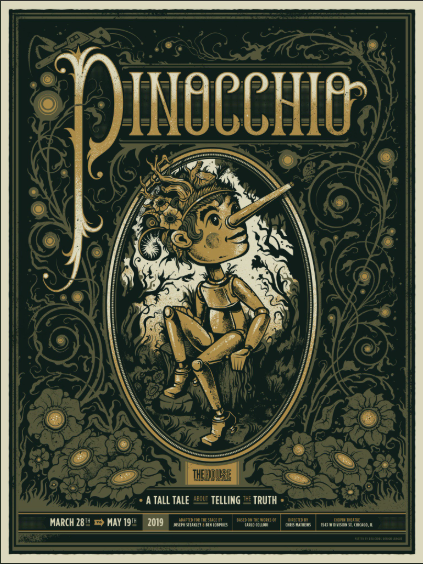 The creative team includes Bekki Lambrecht (set design / stage manager), Denise Karczewski (lighting), David Samba (sound) and Alexi Rutherford (costumes). 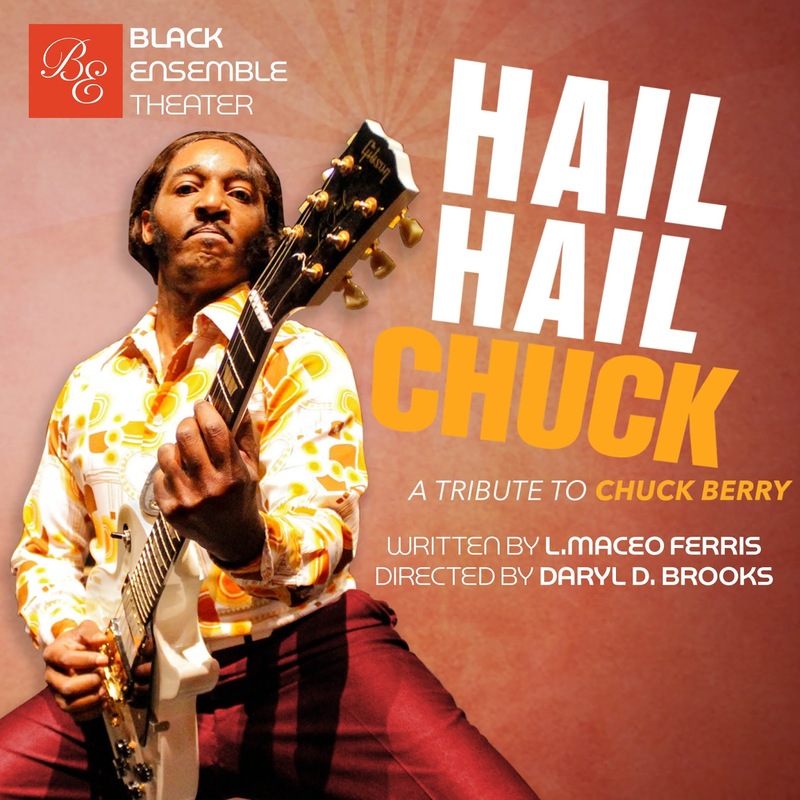 As with all Black Ensemble Theater productions, Hail, Hail Chuck: A Tribute to Chuck Berry features live musicians led by musical director/arranger Robert Reddrick (drums). 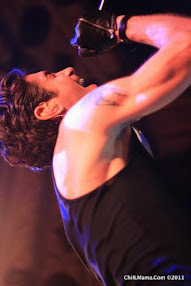 Musicians include Adam Sherod (keys), Gary Baker (guitar) and Mark Miller (bass). Tickets are available at the Black Ensemble Box Office located at 4450 N. Clark St in Chicago, or online at www.blackensemble.org, or by phone at (773) 769-4451. Tickets are $45 for previews (February 17, 18, 23 and 24); $55 (Thursdays and Saturday matinees) and $65 (Fridays, Saturday evenings and Sunday matinees). A 10% discount is available for students, seniors, and groups. The Black Ensemble Theater is also selling the Five Play Card which allows the holder to see all 5 plays of the 2018 Season or bring five friends to one play or any combination of 5. In honor of Black History Month during the month of February the Five Play Card will be sold for a historical low of $200 which represents a $40.00 ticket. Purchased After February the Five Play Card will cost only $225.00 which represents a $45.00 ticket price equaling a savings of $25.00 off a full price ticket. 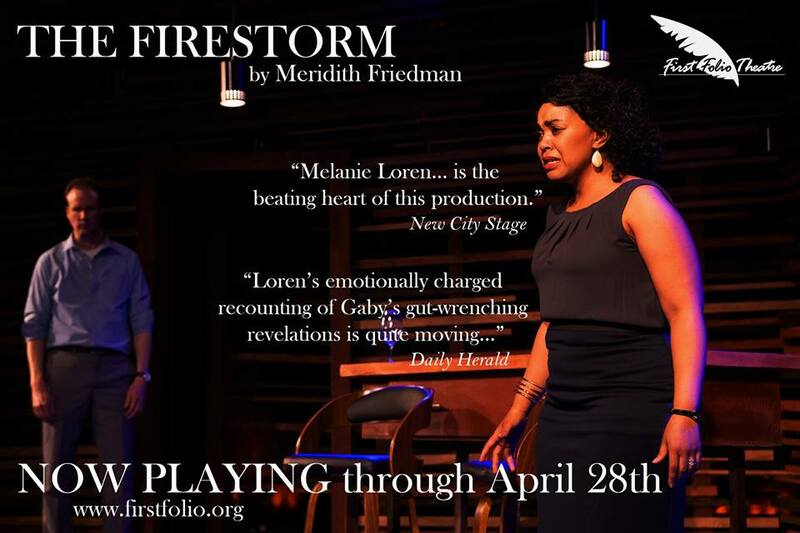 For more details or to purchase a Five Play Card contact the box office at 773-769-4451. The Black Playwrights Initiative (BPI) was created in 2005 by Jackie Taylor, the Founder and Executive Director of the Black Ensemble Theater. The BPI enhances the skills of new and seasoned playwrights, provides them producing opportunities, technical and financial resources and exposure on a local and national level. The purpose of the BPI is to increase the pool of African American Playwrights for the general theater community while developing scripts specifically for the Black Ensemble Theater.